When do you call someone Mr or Ms? Until encouraged to do otherwise, probably. But newspapers have always approached the matter slightly differently. A matter of courtesy and respect, but also a matter of effective rhetoric. A criminal, shorn of his honorific, is an instantly recognisable figure in any sentence containing victims, witnesses, neighbours and police officers, all with their titles: the retraction of the courtesy is always pointed. “Follow traditional Guardian style in leading articles (but not other comment pieces and columns on leader pages): use honorifics after first mention, unless writing about an artist, author, journalist, musician, criminal or dead person; use Ms for women on second mention unless they have expressed a preference for Miss or Mrs. The effect, in a paper where honorifics are scarce, is strikingly formal, and deliberately so. Formality is the currency of the leader: it represents the soberest and weightiest form of address to – you hope – the soberest and weightiest eminences in the country. And that means that it is the place in newspapers where the largest number of implicit concessions to traditional English are made – because sticklerism, if nothing else, reeks of formality. Here, and perhaps nowhere else in the paper, you might deliberately unsplit an infinitive or change “…that Britain cannot thrive without” to “…without which Britain cannot thrive”. Adopting sticklers’ superstitions is, for once, not just a way of avoiding trouble but also a rhetorical device that magically conjures up authority, even next to a ribald editorial cartoon. 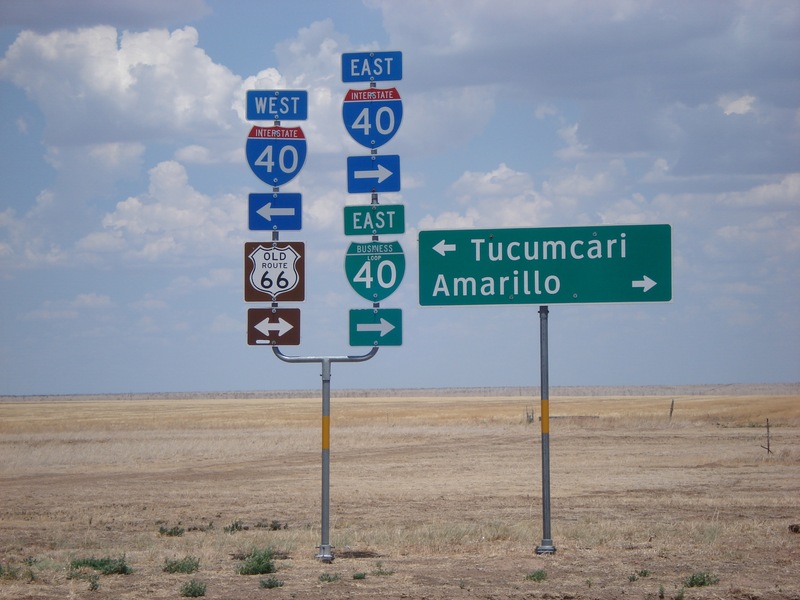 Ten Minutes Past Deadline is taking Bob Troup’s advice and will be somewhere on a piece of shimmering blacktop between Oklahoma City and Chicago for the next two-and-a-half weeks, tracing the easternmost part of Route 66. Until then, may your sunsets be red and your lights be green. Summer’s here. That’s faithfully transcribed from the data, supplied from an authoritative-looking source. And this is inward investment into China, so we are talking about serious money. But look at the subheading, as provided in the original: “$bn”. Then look at the commas in the figures: commas, not points. 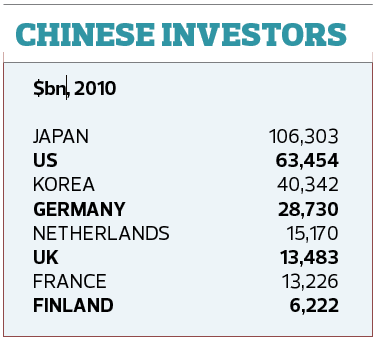 That means that Japan’s investment position in China in 2010 was $106,303,000,000,000. One hundred and six trillion dollars. That’s a sizeable chunk of inward investment. No wonder the Shanghai skyline is shooting up so fast. It’s also about seven times larger than the national debt of the United States, and approximately 30% larger than the GDP of the entire world. And that’s before you get to the US’s own contribution to the Chinese economy, apparently a healthy 63 trillion dollars. You begin to suspect that something might be wrong. Of course – all together now – you know what they mean. They mean 106 billion dollars; the table needs to say $m, not $bn. But that’s not what they said. There’s no descriptivism in maths. Billion is not “widely understood to mean million in informal or conversational usage”. It means billion. Numbers, notoriously, provoke a certain amount of fear in the journalistic profession, stuffed as it is with arts graduates who quail inwardly at the sight of a percentage sign. But in many ways, it’s actually comforting to find oneself working in a system of communication where clarity is still prized over ambiguity.